When Diane and I was driving home from our mini Christmas vacation we were listening to one of my old upbeat songs in the car. Diane said: "You should make some more upbeat songs". So here is an upbeat song for Diane. 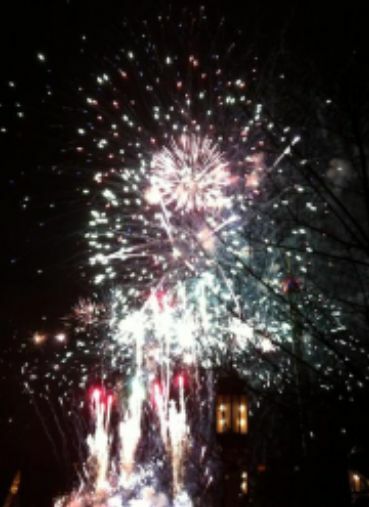 The image is taken in Tivoli when they did their beautiful fireworks. And with that I wish you all a happy 2015.